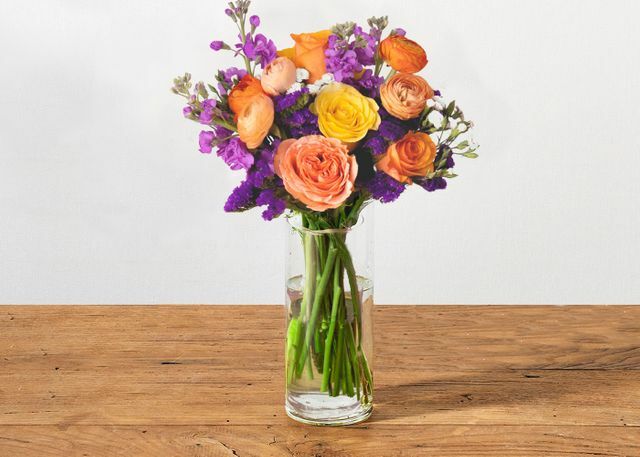 The ultimate color combination takes centerstage in this chic bouquet inspired by Morocco’s vibrant markets. Filled with rich colors and textures, The Marrakesh transports you to another culture. You can also dry and preserve the deep purple statice to continue to enjoy the stems well after this charming bouquet’s other flowers are gone.